. . . . where learning the art of Iyengar yoga comes first. Bruce Roger in Utthita Trikonasana (Triangle Pose) at Yoga St. Louis. Yoga St. Louis offers instruction in the Iyengar method of yoga because we’ve found that it yields the best results. Our focus is on learning the art of yoga. Class is not taught by merely leading a “workout” or a predetermined sequence of poses. We vary how we teach based on how you learn. We will spend time with you discussing your needs before the first class. You will receive individual as well as general instruction in class. You will learn sequentially, one step at a time. You will learn the proper fundamentals from the very beginning. You’ll work smarter, not just harder. Since drop-in classes don’t promote step-by-step learning, new students who wish to try a class are urged to wait until our Free Friday class — or the first class of the next session. That way all new students may begin together. 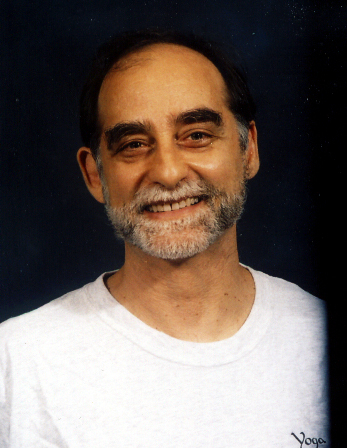 Bruce Roger began his yoga practice in 1979, and started teaching in 1984. He has studied on numerous occasions with the late Guruji B.K.S. Iyengar, the Iyengar family, and senior Iyengar Yoga teachers worldwide. Bruce was drawn to the Iyengar method by Mr. Iyengar’s unique ability to convey yoga philosophy through the practical techniques of asana (posture) and pranayama (breath work). Bruce’s connection to Mr. Iyengar deepened over twenty years ago when he guided Bruce and his young daughter through a yoga sequence to address her chronic health issue. Bruce brings a well developed eye for symmetry and balance nurtured through his career as a professional architect. 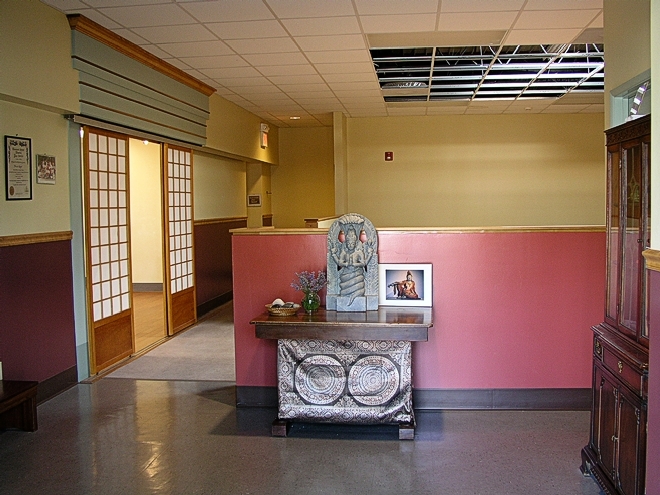 He designed and renovated the Yoga St. Louis studio specifically for the practice of yoga. Bruce also loves to explore, discuss and blog about yoga philosophy and its relation to the practice of asana and pranayama. Bruce is officially certified to teach Iyengar Yoga through the Iyengar Yoga National Association of the United States (IYNAUS). A founder of the B.K.S. 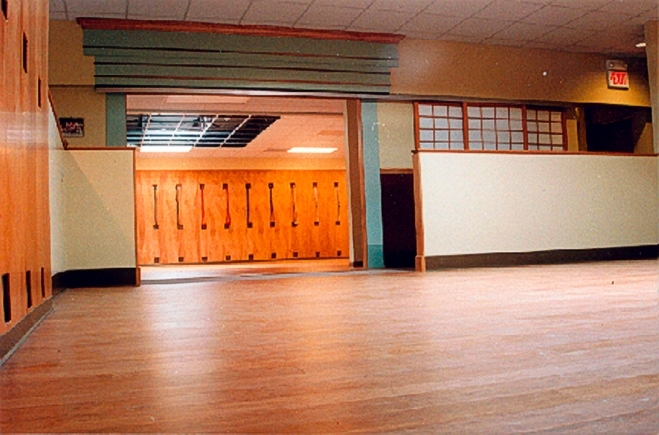 Iyengar Yoga Association of the Midwest Bioregions, he served on its Board of Directors from 1990 to 1996. He currently serves on the Board of Directors of the B.K.S. Iyengar Yoga Association of the South Central United States. 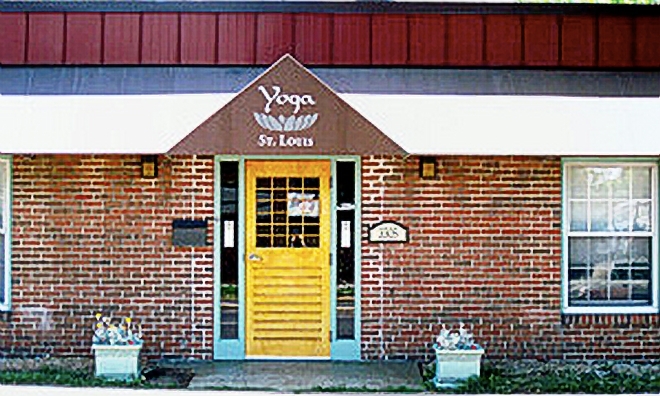 Yoga St. Louis is a fully equipped Iyengar Yoga studio complete with a fixed rope wall. The studio design is based on the philosophy of yoga and influenced by Zen temple architecture. Read more about the philosophical and aesthetic influences that shaped the studio’s design.